Doctor Neha: Hi, everyone. Welcome, Susan. Susan: Thanks for having me. Doctor Neha: Absolutely. It’s a pleasure. Susan, as we’ve spoken about, you had been a corporate executive in the C Suite for 27 years. 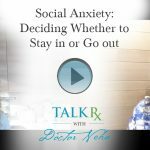 Now, you are getting this gift of giving yourself some time off and looking inward to see how the difference in your fast-paced life compares with the ability to have time, abundance of freedom, and choice in your life. 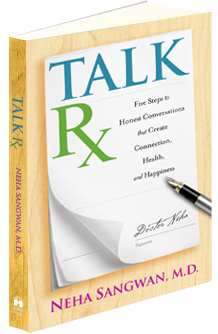 So what do you want to talk about as far as any dilemmas or questions that you’re facing as you slow down? 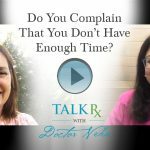 Continue Reading Do You Complain That You Don’t Have Enough Time? 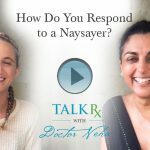 Continue Reading How Do You Respond to a Naysayer? Doctor Neha: Hi, everyone, and welcome from Bali. I am going to talk to a new friend, Courtney, about some thoughts she had. We met at the cafe. We’re filming outdoors and so you’re going to hear nature, animals, mopeds, motorcycles, cars and dogs barking and chickens squawking. Courtney: Thank you for having me. It’s been such an honor meeting you. 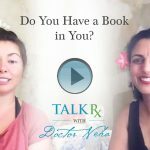 Continue Reading Do You Have a Book in You? Hi, Everyone, This is Neha from Bali. I’m just getting ready to leave and having some thoughts about all that I’ve learned during this trip here…not to mention my curly hair, which I’m not used to seeing on camera, but it’s fun and it feels free and beautiful. I wanted to tell you that this trip to Bali has been different than some of my other ones. I have started to align on a much deeper level with my body and myself. Doctor Neha: Hi, everybody and welcome. This is my third annual trip to Bali, and I made another wonderful friend. Hi, Courtney. We met at lunch today, and Courtney started discussing some thoughts and questions she had when she found out I was a doctor. So tell them what you started asking me at lunch. Doctor Neha: I think is so funny that when you meet someone who’s a doctor, there’s this instant trust or openness. Doctor Neha: Hi, everybody and welcome. Today is going to be a little bit of a different a video because I have asked Andrea, who’s my editor—hi, Andrea—to join me. Doctor Neha: So for those of you who liked TalkRx, you can thank Andrea because she was an enormous part of helping me with that. Today, I got online with Andrea because I had my own questions that I want to ask. Doctor Neha: Hi, everybody and welcome today I’m filming in falling and I have such a special guest. This is my dear friend Ngyoman. He is a brave soul willing to come on and have a dialogue with me when he doesn’t even know what we’re talking about. So this is good. Ngyoman: So I’m Ngyoman. Make me surprised. 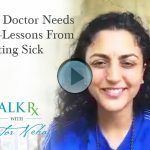 Doctor Neha: I’ve come back here a few times now, and you have been so kind to a drive me around and help me see all the beautiful healers and temples in this country. Doctor Neha: Hello, everybody. Today, I have a special guest, Blake. He’s another brave soul willing to ask his communication questions so that all of you can learn. So welcome, Blake. Blake: I’m super excited about this digital hangout right now. Doctor Neha: I am super excited too. I have to say that the work that you’re doing with teens and tweens and how you’re helping them navigate social media is so important. I feel like we’re doing a lot of similar work. 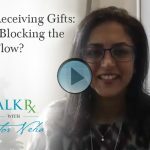 Giving & Receiving Gifts: Are You Blocking the Flow? Doctor Neha: Hi, everybody. I’m excited about our topic today. I’ve been learning a lot about giving and receiving, not just in gifts, but also in energy and connection. 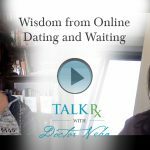 I started embarking on the dating world, which is another game when you’re in your forties, but the beauty of the dating world is that a partnership and romance illuminates my flaws pretty clearly—especially in giving and receiving. So let’s talk about giving and receiving gifts. There’s an art to all of this. Continue Reading Giving & Receiving Gifts: Are You Blocking the Flow? Doctor Neha: Hi and welcome. Today we have a wonderful guest. Hi, Katie. 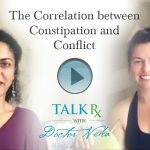 Doctor Neha: You’re a brave soul willing to ask your question so other people can learn. So what’s on your mind?